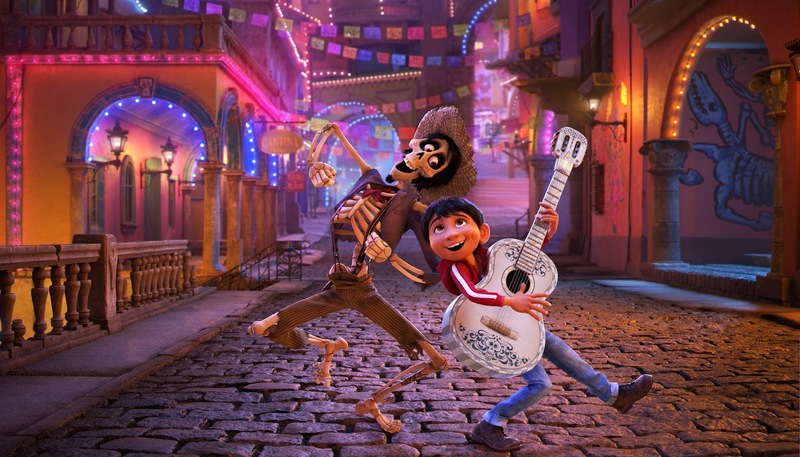 Anyone who has ever seen a Pixar movie will likely see the twist coming a mile away, but “Coco” puts a fresh new spin on the studio's now familiar formula. It's a classic tale about pursuing your dreams and the importance of family, but rarely have we seen such stories told with such artful conviction. “Coco” is a wonder, a dazzling and deeply moving candy-colored fantasia fueled by the power of music. And what glorious music it is; Michael Giacchino's score, accompanied by memorable songs ("Remember Me" is a haunting stunner) has the power to make the toes tap and the heart soar. COCO is now playing in theaters nationwide.